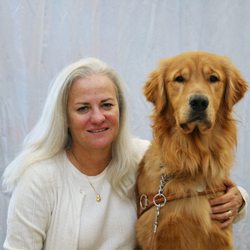 Pictured, above: the author, Moira Shea, with her guide dog, Finnegan. 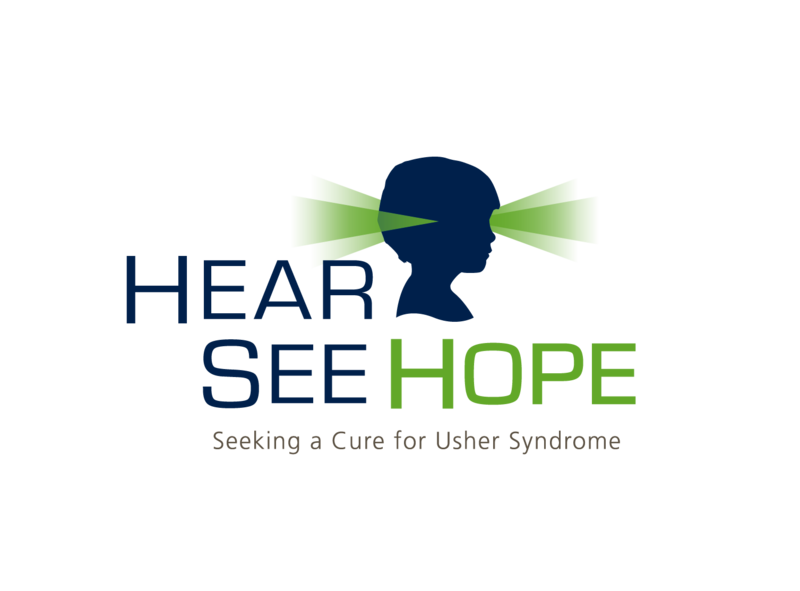 When I was 15, I was diagnosed with Usher syndrome, the leading cause of deaf-blindness in the United States. Although I’d had hearing aids since kindergarten, and could never see in dark places, it wasn’t until I started to trip over things in broad daylight that my parents became truly concerned. Living in the Philippines at the time, we drove to Clark Air Force Base, where the doctor gave the tentative diagnosis of retinitis pigmentosa. I then went back to the United States with Dad – a retired New York City police detective working in security abroad – and the doctors gave the no-doubts confirmation of Usher syndrome. My parents were devastated. I don’t know if it was denial as a form of coping, but I was determined to live my life to the fullest. With support from my parents and close friends, I learned to constantly adapt to different countries, cultures, religions, schools and languages. It made me resilient and tenacious. I returned with my family to the States in the early 1970s, when the RP Foundation was just getting started. My parents became strong advocates for what is now the Foundation Fighting Blindness while searching the world for a cure. Meanwhile, I entered my third high school, where the students thought I was aloof because I couldn’t see or hear many of their greetings. Then I lost both of my parents at a relatively young age. Shortly before my dad died, I promised him I would be OK. I’ve tried to live up to that promise ever since. In my late thirties, I made one of the hardest, and best, decisions of my life: I got a guide dog. His name was Beau, and he renewed my sense of independence. No longer did I bump into people or objects. We even made history together when, in 1997, we were denied access to the Senate floor. My boss, Senator Ron Wyden, claimed this was a violation of the intent of the ADA. A public outcry and national headlines ensued, and, thanks to a rule change, Beau and I soon found ourselves on the Senate floor. In my forties, I married a wonderful man who encouraged me to go back to school. A couple years later, I exited Harvard University with a master’s degree in public administration, another dream come true. But then I rapidly lost the remainder of my vision. During a tour of Glacier National Park, I realized I could no longer see and found myself crying, grieving for my loss. Work became a struggle, and I suffered from anxiety and depression. But, eventually, that passed, as I tallied the things I can be thankful for – a loving husband, great friends, a trustworthy guide dog and good health. Another is my ongoing involvement with FFB. 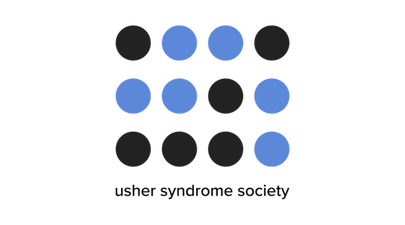 Now on its board of directors, I see the inroads being made into research – gene therapy, retinal chips, stem cell technology and more. I believe, however, that without additional federal funding for Usher syndrome and other retinal diseases, finding cures will be delayed. 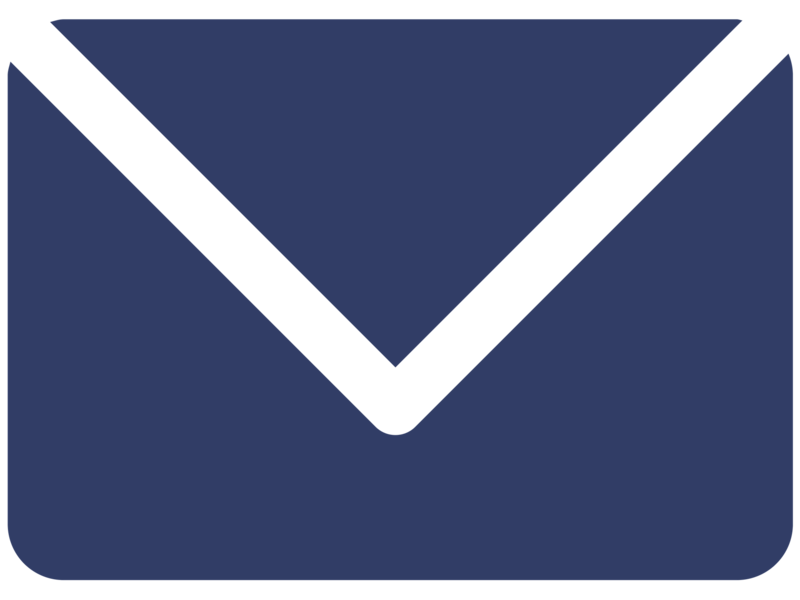 I encourage everyone to contact their representatives in Congress and let them know that federal funding for medical research should be a priority. And if you have a retinal disease, empower yourself. Take advantage of tools such as a cane, a guide dog and the latest assistive technologies. Stay ahead of the continuous cycle of lost vision by getting orientation and mobility training, even before you need it. And whenever you find yourself thinking “I cannot do this,” do it. The challenges never end. Last year, I had the opportunity to travel to Dubai on business, which, because of the long flight, I had to do without my current dog guide, Finnegan. As fearful as I was, I knew that if I didn’t go, I’d close the door on a great experience – my first visit to the Middle East. So with a cane, and relying on strangers, I successfully navigated the trip, from beginning to end. Moira M. Shea recently retired from the U.S. Department of Health and Human Services, where she was a senior policy analyst in the office of the Assistant Secretary for Preparedness and Response. Previously, she held a number of government posts, including Congressional aid and as an economist specializing in international trade and technology development. 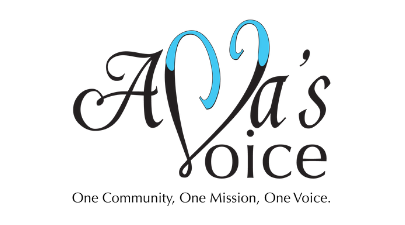 She’s been involved with the Foundation Fighting Blindness since 1980, and is currently a member of its board of directors. 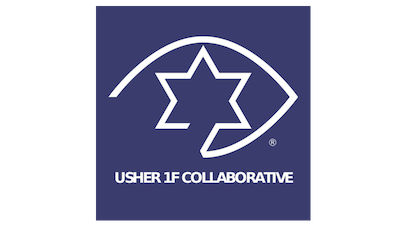 Moira also serves on the Board of Directors for the Coalition for Usher Syndrome Research.